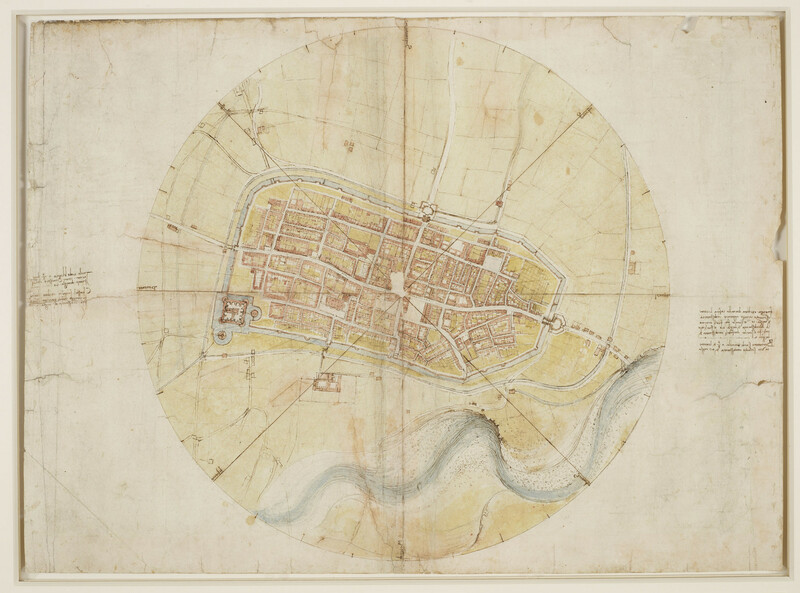 A drawing of a map of Imola, showing the city enclosed by a ring. 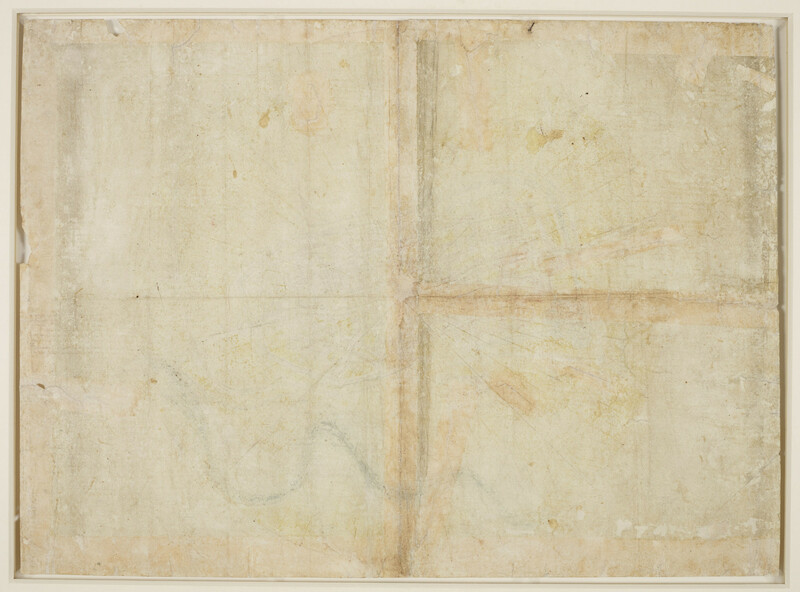 Four lines cross the plan, forming on the circle eight points of the compass, at which the names of the winds are written in Leonardo's hand, clockwise from one o'clock. In August 1502 Leonardo was appointed ‘General Architect and Engineer’ to Cesare Borgia, son of Pope Alexander VI and marshal of the papal troops, giving him powers to requisition men for surveying and to order improvements to fortifications. Cesare lodged in Imola with his entourage in the autumn of 1502, and it must have been then that Leonardo made this magnificent map of the town.